Ed Savitz is an experienced trial and appellate attorney whose practice focuses primarily on commercial litigation. He regularly represents corporate and individual clients at both the trial and appellate level in matters involving construction litigation, franchise litigation, intellectual property litigation, and professional liability litigation including attorney, accountant, and design professional malpractice defense. He is also a certified mediator in federal court. Mr. Savitz is an approved panel attorney for most professional liability insurance carriers. Mr. Savitz is a Fellow of the Litigation Counsel of America and a Charter Fellow of the Construction Lawyers Society of America. He is an affiliate member of the American Institute of Architects and an allied member of the Tampa Bay Chapter and Florida Association of the American Institute of Architects. 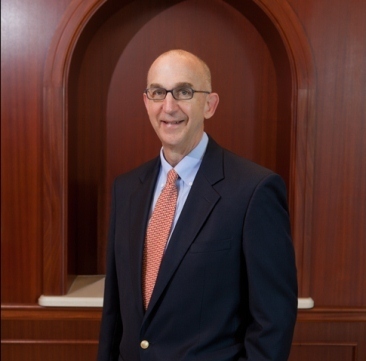 Mr. Savitz is a member and has served on the Board of the Hillsborough County Bar Association. He has also served as Chairman of the University of Tampa Board of Counselors and the University of Tampa Board of Fellows and as a Trustee of the Merrie-Woode Foundation, Inc. In addition, Mr. Savitz has been President of University Club of Tampa and Senior Warden of St. John's Episcopal Church. He is a frequent lecturer and presenter at risk management seminars and was a member of the Advisory Council for a major lawyers’ professional liability insurance program. Mr. Savitz is an Executive Member of the Terrell Inn Chapter of the American Inns of Court. Mr. Savitz is a recipient of the University of Florida Law Review Alumni Association Commentary Award and the Gertrude Brick Law Review Apprentice Prize. Mr. Savitz was commissioned as a field artillery officer in the United States Army and was awarded the Army Commendation Medal upon his honorable discharge in 1972. Mr. Savitz has been recognized by Best Lawyers in America® and was named "Lawyer of the Year" in Tampa for his Construction Litigation practice in 2012, 2015, 2017 and 2019. He has also been named to Florida's "Legal Elite" by Florida Trend magazine and has been recognized as one of the top one hundred "Super Lawyers" by Florida Super Lawyers magazine. Mr. Savitz has been awarded an AV rating by Martindale-Hubbell. Mr. Savitz was born in Atlanta, Georgia and raised in Tampa, Florida.